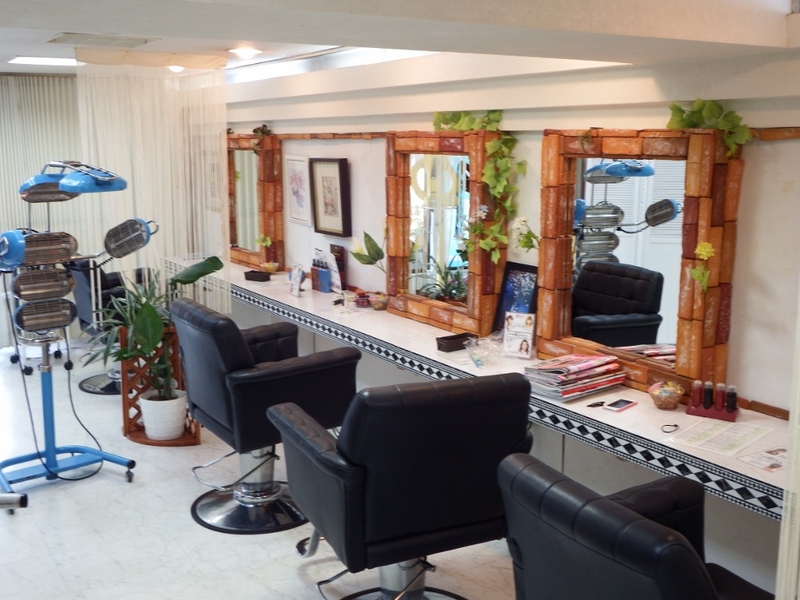 When it comes to hair salons, some people enjoy shopping around and going to many different institutes; but I think most of us prefer to find one trustworthy place that we can go back to time and again. 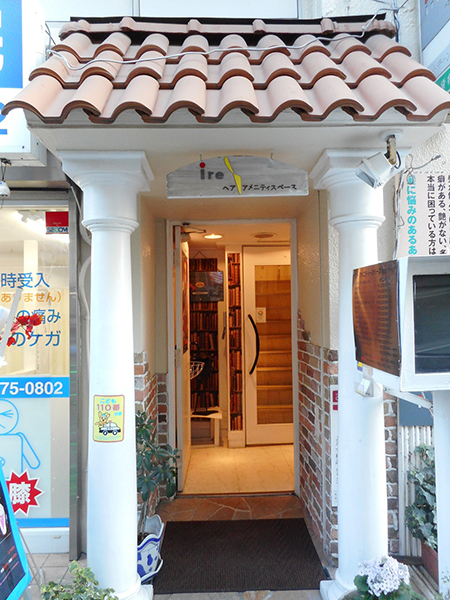 Take, for example, Hair Amenity Space “ire” (pronounced “aye-ree”) in Kameido, Koto City. This beloved establishment has been a staple in the neighbourhood for many decades, with a dedicated customer base to prove it. 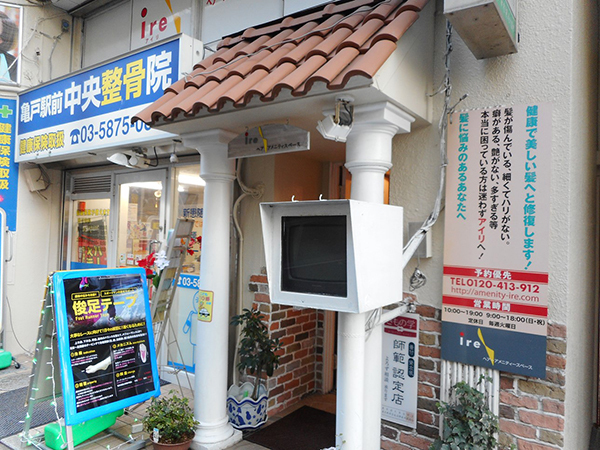 Note: The entrance to the salon is located on a small street one off the major Keiyo-dori Avenue. 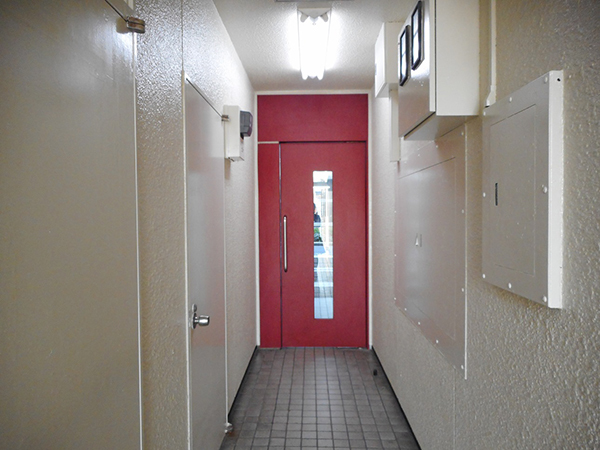 If you’re coming from Keiyo-dori Avenue, you’ll have to cut through the building to reach it by passing through this hallway. I am mentioning this because it took me a while to figure it out, myself. Once on the other side, you’ll be able to spot ire’s entranceway by its charming frontage; I love the overhanging roof with shingles! It almost looks like the entrance to a cozy café. Inside, the space feels comfy and well-loved, with plants, books, magazines all set comfortably in the front area, while a chandelier casts a warm glow overhead. 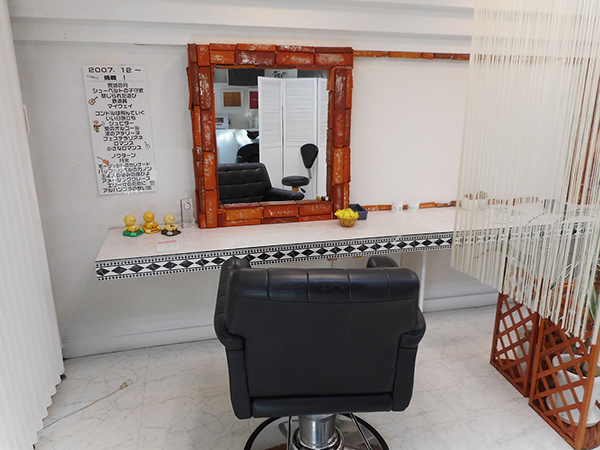 The hairdressing area is on a raised part of the room in the back. 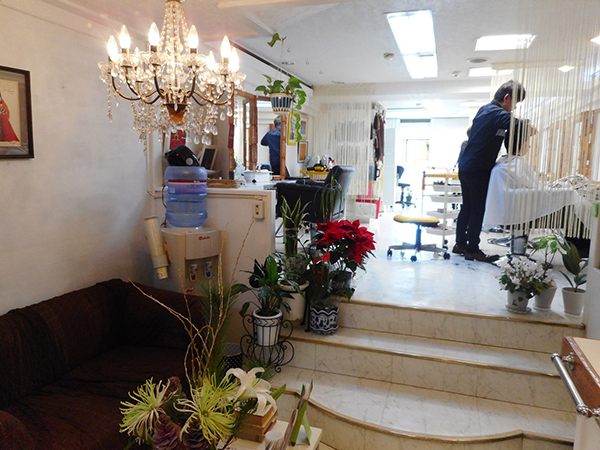 The interior décor was all selected and installed by Mr. Suzuki, the owner. Aside from being a hairdresser, he considers himself a “Sunday carpenter”, a term in Japanese that indicates his love for carpentry and hands-on projects. I really liked the rustic touch given by the red brick frames around the mirrors at each styling station. Two hairdressers man the stations alongside Mr. Suzuki. Both are veterans who have worked at ire for 20+ years and who are clearly very good at their jobs. Listening to the easy conversation between them and their customers, I could sense that there was a lot of trust and camaraderie, built upon the history the two had together. “It must make a lot of difference to have reliable, dedicated staff members who have worked here for many years,” I remarked. Mr. Suzuki nodded happily and said it really put the customers at ease to know they could always get their hair cut by the same people. It turns out that Mr. Suzuki is also a guitarist! 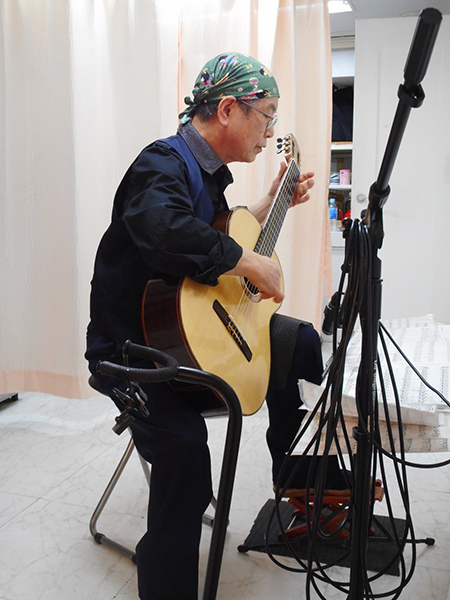 “I started playing at age 60, as a way to challenge myself and keep learning,” he said humbly. 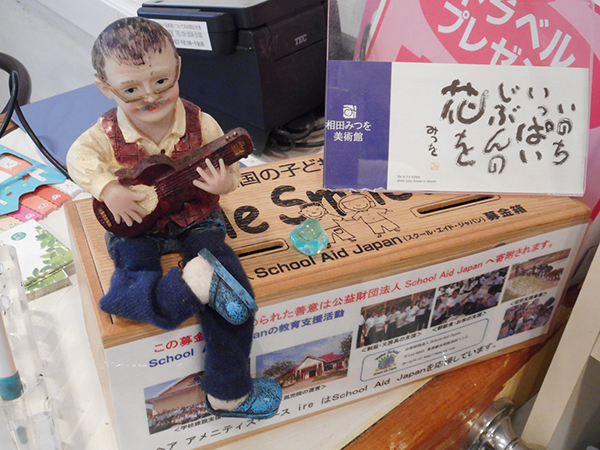 His repertoire of songs is quite long, and he says he plays sometimes during business hours for the customers getting their hair done. 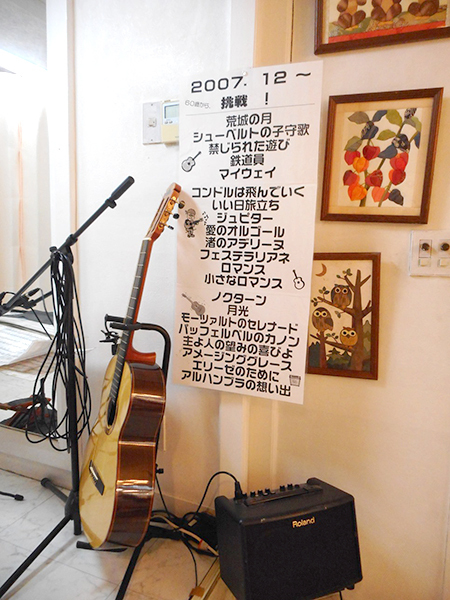 He strummed a few songs for me, and I found that combined with the easy atmosphere of the salon, it really made it feel as though I was visiting a relative’s house for tea, rather than a shop. The services at ire include all the basics of a hair salon, including cuts, colours and perms. 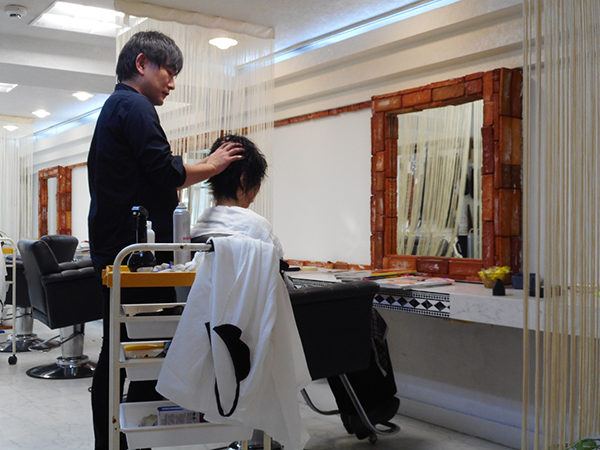 “Sometimes, we also do a little nail care for customers who are here for a long session, like if they’re getting their hair coloured or permed,” Mr. Suzuki said. A man of many talents and passions, it was inspiring to see how Mr. Suzuki had managed to combine so much of what he loved into one space. While ire is a great place for your everyday hair needs, it’s also a culmination of Mr. Suzuki’s warm, curious personality. That’s no doubt another reason so many customers love visiting the charming hair salon—one that’s always been there to welcome them in.